We love to BBQ and recently I tried a couple new mustard sauces from Fischer & Wieser. They make a number of unique sauces and mustard that help make your meals more interesting and taste better. I tried 3 different mustard sauces. The first one was the Hickory & Cracked Black Pepper Mustard Sauce. This sauce was very flavorful and I loved the combination. I ate it on some pork chops Rex grilled but I think it would be great on a turkey sandwich. It also would be good with a cheese and meat tray. The next one we tried was the Salted Caramel Mustard Sauce – doesn’t that sound good? I really liked the salty-sweet taste of it. I used it as a dip for some chicken tenders I made and it tasted really good. It would be great as a finishing sauce for baked ham or chicken. The last one is pictured here Raspberry & Wildflower Honey Mustard Sauce. This was my favorite I loved the sweetness of the honey and the tartness of the raspberries. Here I used it on pork. It had such a great flavor. I think it would be good on any grilled food. 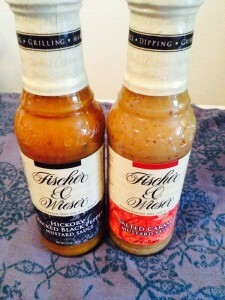 Fischer & Wieser has been making great tasting unique sauces and mustard since 1969 using products they grow on their own farm. You can purchase your own sauces and mustard to liven up your meals HERE. 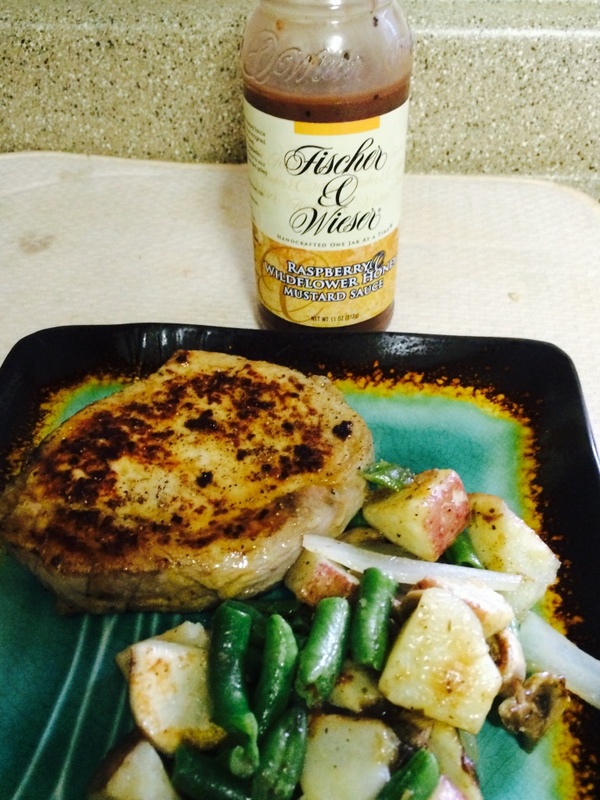 You can also purchase Fischer & Wieser sauce local nationwide at Safeway stores and many others. Stay connected on Facebook.